With this Garlic Herb Grilled Chicken recipe you will never have to eat bland dry grilled chicken again! Just 6 ingredients (including salt) and only 20 minutes of prep will give you a gluten-free, dairy-free and low-carb entree that sings with flavor. And check out my no-muss-no-fuss way to marinate the chicken! I originally shared this recipe on June 26, 2012. I have updated the images and some of the text today. Do you ever find yourself in the grocery store staring at those boneless skinless chicken breasts and think “Ugh, I’m so tired of boring old chicken”? Well, let me tell you my friends you don’t want to miss this really special herb chicken recipe. 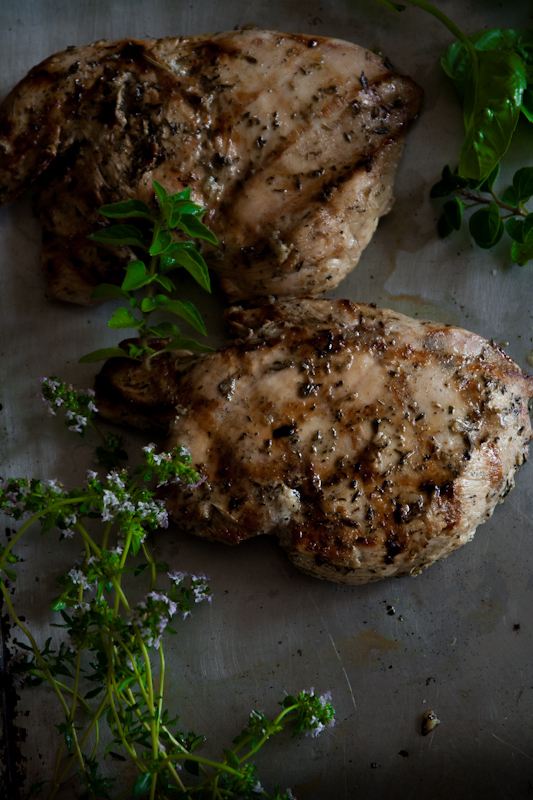 You will be so shocked at the flavor you get from such a simple marinade. 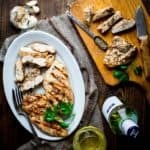 Here is a really easy way to make a fast and garlicky marinade for chicken breast without making a big mess or even getting a knife dirty. All you need is a re-sealable bag (aka a Ziploc) and a meat mallet with a smooth side. No need to chop the garlic. Just peel it, pop it in the bag and then get your aggression out by smashing it silly with the smooth side of a meat pounder. Then open the bag and add your chicken. Taking the time to pound that too will make it so your chicken will cook evenly and won’t dry out. Then, create a crazy-flavorful marinade with lots of vinegar. Unlike other more mild marinades, the acid in the vinegar and the salt will work its way into the meat quickly. Just be sure not to leave the chicken in the marinade for more than two hours. And let the chicken rest for five minutes before slicing. Oops, I guess you’ll need to get a knife dirty for that! 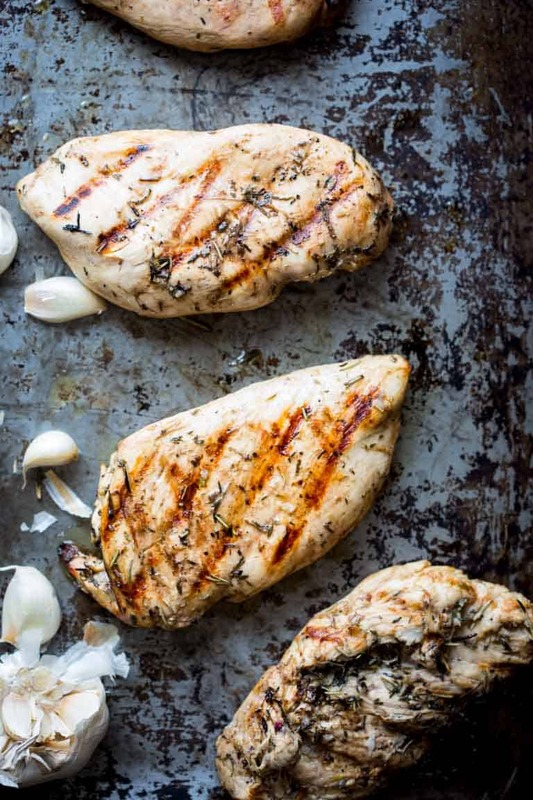 If you’re not familiar with grilling chicken, there are a few key things to keep in mind to make sure it comes out juicy and flavorful every time. Pre-heat the grill—pre-heating the grill is key when grilling chicken. You want the chicken to start cooking as soon as it hits the grill. If you throw the chicken onto a lukewarm grill, it’ll take more time to heat up and you’ll likely wind up with dry, overcooked chicken. 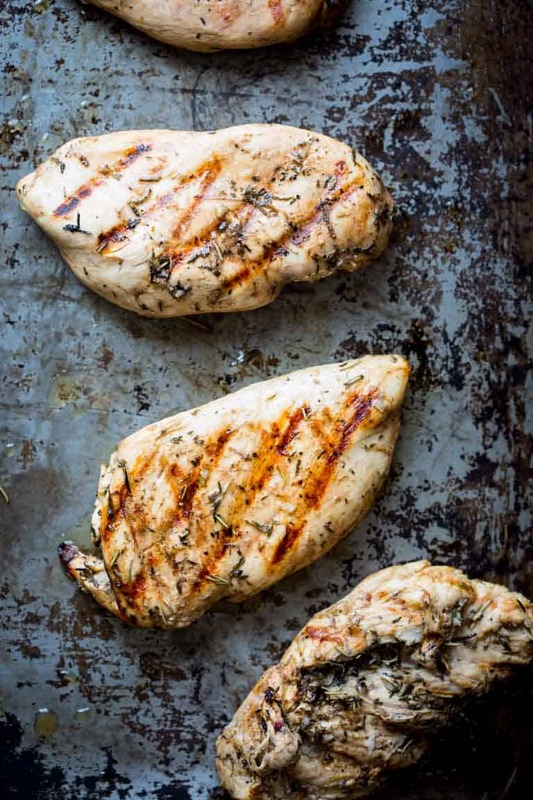 Grill room temperature chicken—let the chicken rest on your counter for a few minutes before you put it on the grill. If you add fridge-cold chicken to the grill, you’re more likely to overcook it (again, because it’ll first need to warm up and then cook). Flip the chicken only once—if possible, flip the chicken only once during the grilling process. This will create those lovely grill marks on the chicken and will help it cook evenly on both sides. 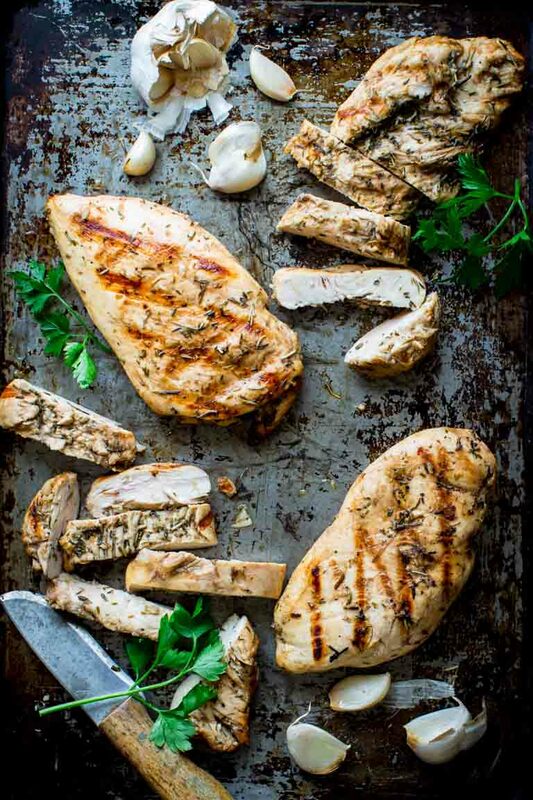 Wait 5 minutes before slicing—after you’ve taken the herb grilled chicken off the grill, give it a few minutes to rest before slicing into it. This gives the juices inside time to redistribute and gives the chicken a better taste overall. 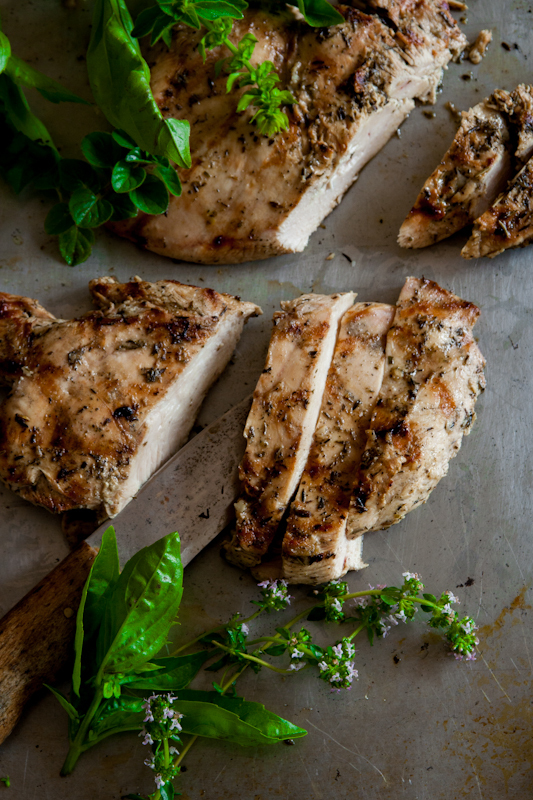 Seriously, this Garlic Herb Grilled Chicken will be the hit of your next cookout! And if you want to make it a complete diary-free meal serve it with this yummy Dairy-Free Ranch Pasta Salad by Go Dairy Free! Or if you happen to have any leftovers, chop it up and toss it into these amazing Thai Chicken and Sweet Potato Noodle Bowls from Allergy Free Alaska! 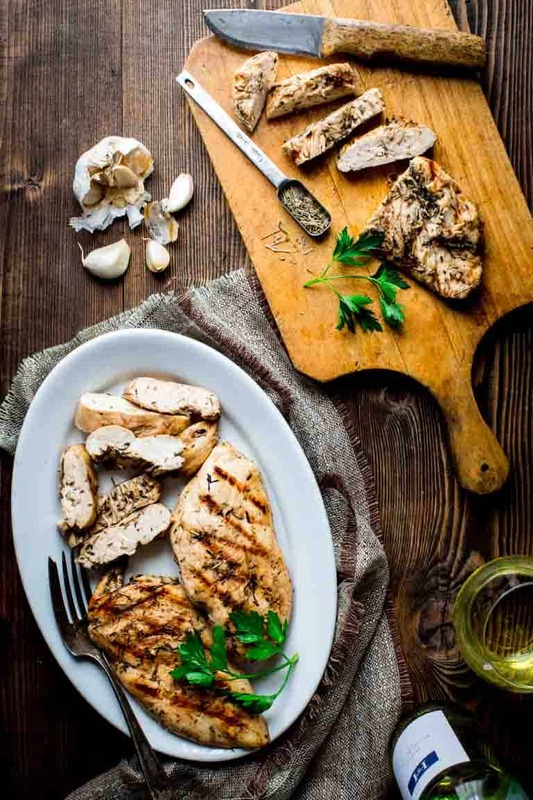 Garlic Herb Grilled Chicken—6 ingredients and 20 minutes of prep will give you a gluten-free, dairy-free and low-carb entree that sings with flavor. 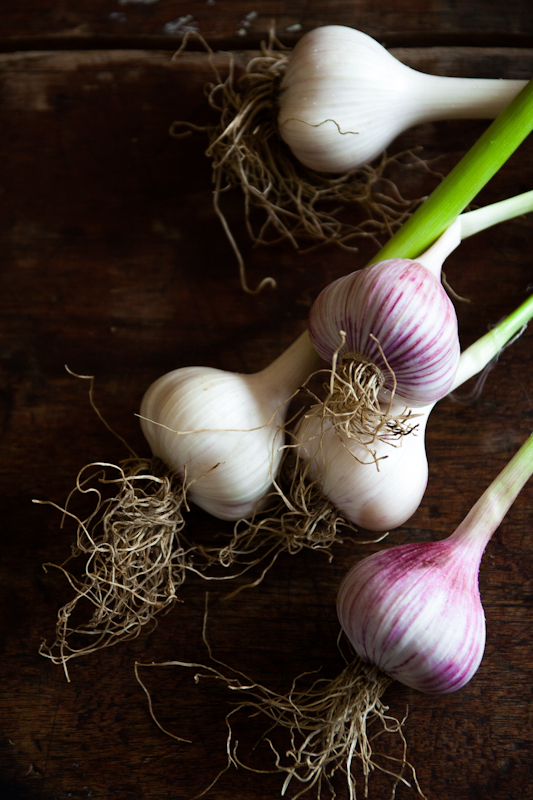 Place garlic cloves in a large Ziploc bag, press air out and seal the bag. Smash garlic with the smooth side of a meat mallet. Open bag and add chicken breasts. Press air out of bag and reseal. Pound meat through the bag until the thickest part of the breast is level with the thinnest, about 1/2-inch thick. Open bag again and add tenders if included, vinegar, oil, salt and herb mix. Press out air and reseal bag and agitate until the chicken is coated in the herb garlic mixture. Refrigerate 30 minutes to 2 hours. Preheat grill to medium-high heat. Remove chicken from marinade and discard marinade. Grill chicken until no-longer pink in the center, 4 to 5 minutes per side. Alternatively, grill on a indoor grill pan over medium high heat, 6 to 8 minutes per side. Let rest about 5 minutes before slicing. Thank you Brooke! I appreciate your compliment. Thank you so much Allie. I really love hearing that you like the recipe, and your words mean a lot to me. Hope you have a great day! This looks really yummy and I love how simple it is. Nice work! 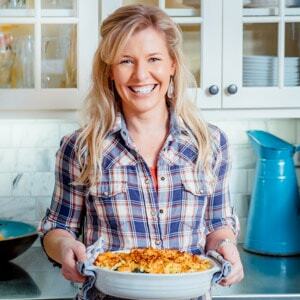 Love this chicken recipe, Katie!Waiting for warmer weather so I can try this on the grill. Love that this chicken has enough flavor to be eaten on its own, or used in salads and other dishes! made this for dinner. My husband and I loved it. So much garlic, Yum. Too salty, but we love too much salt. I was looking for a savory marinade and that is hard to find. Really glad I found yours. Easy and delicious. Hi Florence, Thanks so much for coming back to let us know that you loved it. I really appreciate it when folks come back to leave a review. It’s super helpful. Super easy and the chicken was tasty, moist and tender!! 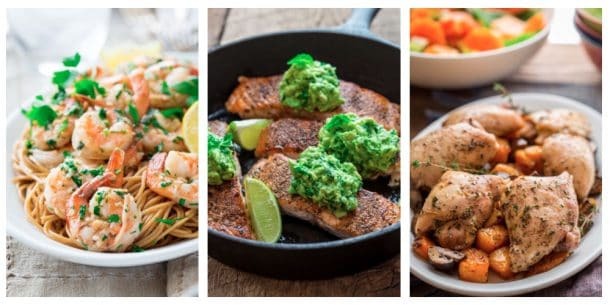 Love how easy and flavorful this dish is! Even grilling it indoor gives a little bit of a summer grilling feel! I can think of SO many uses for this! Yum! Looks so juicy and delicious! This would be perfect for dinner any night of the week!